If you run out of rice at a Polynesian party, you better have your running shoes on! My buddy Luki (name kinda changed to protect the semi-innocent) asked me a question that has baffled me for weeks now. 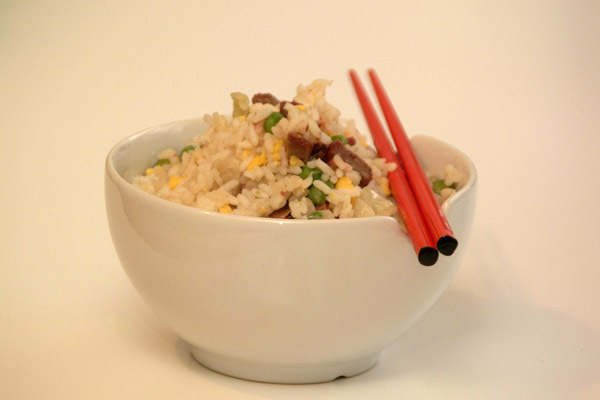 The question: What are your favorite dishes that go best with rice? My answer: Is there anything in this world that I won’t eat with rice? Follow-up: NO! Just ask the Mrs. When we first met she always wondered why there was a heaping (bottomless) pot of rice on the stove in my parents’ home day and night. I didn’t have to answer the question because soon after that a line formed in the kitchen and dining room area and one after the other we piled rice on our plates and whatever else we could find to go with the rice. It varied from tuna, to Spam (yeah, you read that right), vegetables (yes my mom actually made us eat veggies growing up) or anything you could find in the refrigerator or cupboards. Truthfully, in most Polynesian households rice is a staple and a curse. We’ve eaten so much rice growing up and in my home that we have saved many rice producing countries from financial ruin. Have you ever been to a Polynesian party where there is no rice? I have and I didn’t like it. I don’t care if I ruin a wedding or a one-year-old’s birthday party I’m gonna let someone know that the party is gonna take a turn for the worst if the rice doesn’t materialize quickly. The Mrs. has humored my addiction to rice over the years but there are times when she has had to simply draw the line at the dinner table in cases where rice is totally unacceptable. I’ve eaten rice with chicken noodle soup for crying out loud! Whenever I utter the words, “Where’s the rice?” it’s her queue to launch into a sundry list of reasons why rice is not on the menu for the evening. Like the time when I tried to put a scoop of rice on top of my lasagna. I doubt he does too, but Haloti better back me up on this because I know he’s a rice eating fool like the rest of us. Who doesn’t enjoy a hot plate of loco-moco to jump start their morning? And have you ever tried eating your sweet and sour chicken or pork, beef curry, kalua pork or corned beef without rice? Who’s crazy now? I can do without oil, I’d sell my cars and ride the bus (which I’ve done before so its not beyond me) if they tell me tomorrow that gas is now $5-per-gallon. But if the government announces tomorrow that they are ceasing the importation of rice, I’m organizing my own million man march. Do not mess with this man’s rice!